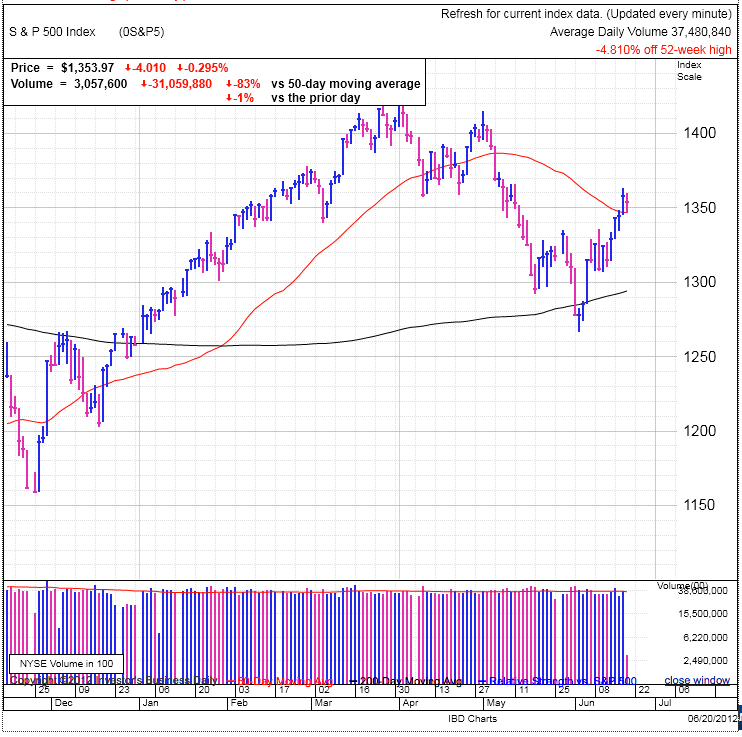 Yesterday was a big day for the markets as we clearly smashed through the 50dma. The price gains over the last several days knocked out many bears as a fair amount of the recent buying was fueled by a short-squeeze. The other portion of the crowd was Johnny-come-latelys who were jumping in as we passed key technical levels giving them the green light to take the plunge. But with the bulk of the short-squeeze and Johnny-come-lately buying behind us, what will it take to move higher from here? Exhausting the technical buying, the only thing left is an influx of fundamental buyers. Are these traditionally conservative traders ready to start buying in the face of all the headline risk flying around the market? That’s the question any bull needs to come to terms with. But if we look on the other side, all these Johnny-come-latelys bought in recently, meaning their downside stop-losses are right under the market. This sets up an interesting dynamic as we just cleared all the automatic buying on the high side, but setup a whole new tranche of potential automatic selling on the low side. This means any upside move will have to be earned, but there is potential for a cascade of stop-loss selling if we dip lower. Simply looking at the potential fuel on each side of the market, there is far more risk of a large move to the downside. This isn’t talking about the probability of one direction over another, simply the potential for a strong move either direction. A big catalyst for the market will be any announcement by the Fed this afternoon on monetary easing, ie QE3. It seems the market is hopeful of more easy money and could be disappointed if the Fed doesn’t act. Could that kick off the move lower? We’ll know the answer soon. But as far as sentiment, it seems market participants are excited about the current market, a dramatic reversal from just two weeks ago. The size of the rebound and breaking through key technical levels has many pros expecting this move to take us back to 1400. Further, it is hard to find anyone bearish at these levels. When market participant’s opinions get so one-sided, more often than not, the market moves the other direction. It is simply supply and demand at work. If everyone is bullish, it means everyone has already bought and as a result there is no one left to buy and continue pushing prices higher. In the absence of new buyers, the market moves lower regardless of how bullish everyone is. Are we at that point? It is hard to say, but the lack of bears raises a red flag for me. Update: The Fed released its statement and is extending Operation Twist, but not initiating QE3. The initial reaction in the market was lower, but just as quick, it reversed and recovered those losses. It will take a bit of time for the market to process this information and decide what it means.